A decade of residencies through ANAT’s Synapse scholarships has changed the way art and science collaborate. Image: Still from Erica Seccombe’s project Grow produced during a Synapse residency. One of the successes of this year’s Vivid Festival was its program of thought-provoking panel discussions that charted new territories within the intersections of art, technology and design. For the past 25 years ANAT has been a catalyst for such cross-disciplinary pairings, championing ‘a culture of creative risk-taking’ and securing the necessary resources to enable artists to pursue creative research through its residency program Synapse, funded in partnership with the Australia Council. Among ANATs alumni are artists such as Stelarc, Patricia Piccinini, Joyce Hinterding, Nigel Helyer, Justine Cooper and George Poonkhin Khut, who won the 2012 National New Media Art Award for his 2011 Synapse residency with The Westmead Children’s Hospital. Collaboration is key. These residencies are not about parachuting an artist into a data rich pool. ‘You are trying to encourage equal benefit. There has to be a level of trust,’ said Sowry. ‘There is more of an understanding of the interdisciplinary nature than 10 years ago,’ added Sowry. When ANAT started in the late 1980s, ‘a lot of focus at that time was getting artists involved to communicate the research science. But we really wanted to bring artists and scientists together at a deeper level, utilising their different skills sets to come together around a research question and see if, by bringing artists into that mix, different types of knowledge and ways of seeing would come about,’ explained Sowry. But the match is key. ‘We had an artist go into the Australian Synchrotron and the director at the time said on the first day, “where is your easel?”, adding “there is no way you will be touching that” (meaning the synchrotron).’ Sowry explained that the marketing department had set up the residency thinking it was a good way to get some news. The director subsequently left, but the artist Chris Henschke hasn’t. A reassessment of the program in 2007 saw the residencies extended from 3 to 4 months, mandating that the application be joint. ‘That meant all that learning how to talk and identify the area of research happens before, so that when the artist starts they hit the ground running,’ said Sowry. It worked. About 80% of the artists who have been residents under the program have continued a relationship with their host organisation beyond the term of the residency. Sowry admitted that funding was an issue. The Synapse residencies are funded through arts funding, not science-sourced money, and, in an environment where the research evaluation structure relates to research dollars, it is very difficult to carve out the time to commit to these types of collaborations. ‘We have spent many years now trying to get matched funding through the science and research side of things simply to give the researcher that ability to say to their superiors that, “I am bringing in research money, too. You need to give this project the time and space it needs”. It continues to be challenging,’ said Sowry. Panelist, visual artist Erica Seccombe, had been a resident across various science-based sectors, including CSIRO, the Applied Mathematics Department at the Australian National University and exhibiting institutions. In 2010 she participated in a Synapse Scholarship at ANU looking at the visualisation and animation of complex datasets, attempting to understand the complex interrelationship of mechanical 3D components of physical objects, balancing visual density with information content. Sowry drew the audience’s attention to the recent cuts at CSIRO under the Abbott Government. She mentioned a resident working across three national collections managed by CSIRO will now find her residency restricted due to the limitations on their staffing. So while Synapse is forging ahead funding innovative partnerships, and the science sector is increasingly embracing the advantage of new perspectives offered by artists, the lack of government investment in scientific research and development threatens this future. So how can you do one? The best advice is to first take a look at the Synapse database of artists and scientist collaborative projects to see if it has been done before. ‘You can even cold call; it’s getting easier,’ she added. That is exactly what Seccombe did in what has turned into a 14-year relationship with the Department of Applied Mathematics at ANU. ‘I put a lot of work into that relationship. I proved I could stay with the program and work with these people; but it also made them realise that I was giving something back as well,’ said Seccombe. 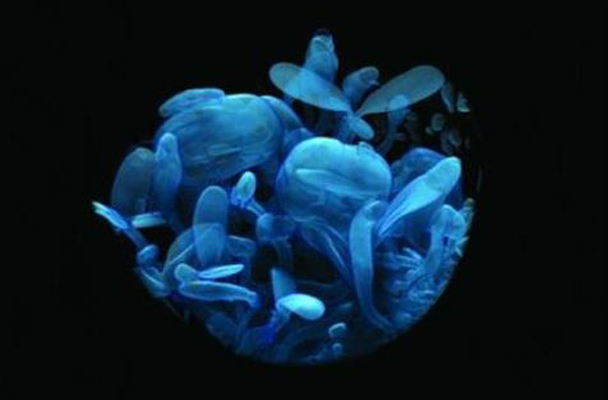 Her latest exhibition Grow (detail pictured top), recently presented by the Dominque Mersch Gallery in Sydney, visualises nature at the nano scale using 4D micro CT scanning to capture the germination of seeds and then projecting them as stereoscopic animations. ‘Because it has been validated through a formal residency, and it made me a visiting researcher, it was less about “there is an artist in the room” and rather “there is a research who is trying to find something in a different way”,’ said Seccombe. 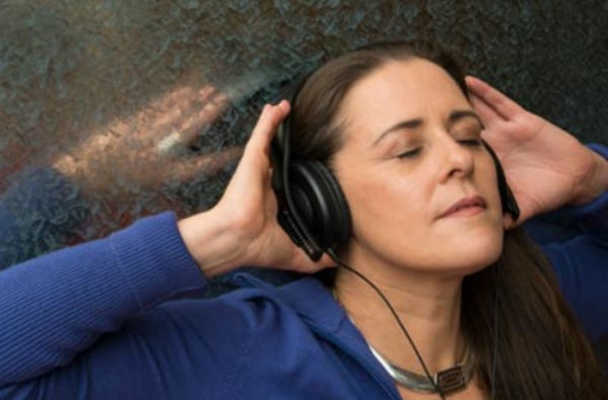 Jane Baker, who commenced a Synapse-funded residency with the Wicking Dementia Research and Education Centre at the University of Tasmania last month, will be working with its scientists to see how a soundscape might be applied to their research. Baker is working on revolutionary ‘era-appropriate’ reminiscent soundscapes for high-needs dementia sufferers living in aurally restricted aged-care environments as a way of promoting self calming and coherence. ‘I am very excited to see how the soundscapes come to life through collaboration with dementia sufferers, scientists and professors,’ said Baker. That’s good news for artists. This piece was first published on artshub.com.au in July 2014. Museum architecture: receptacle or spectacle?